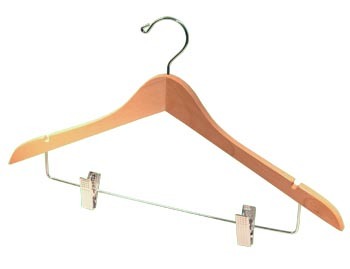 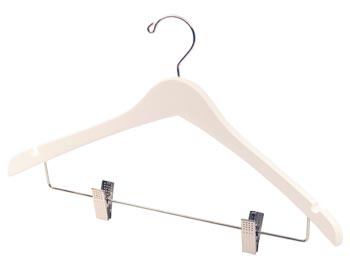 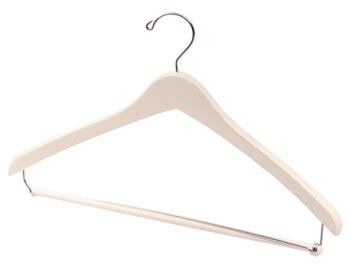 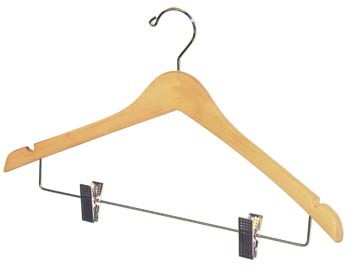 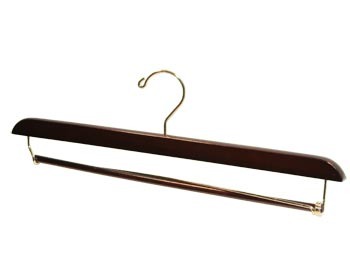 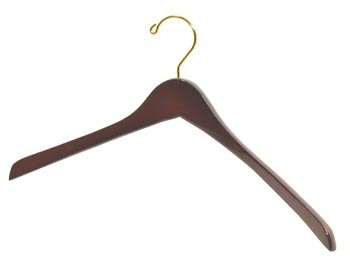 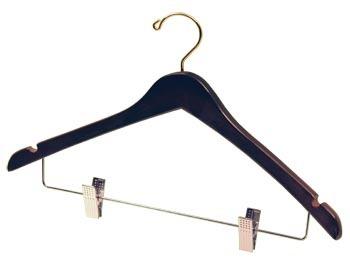 Hanger Store provides premium wood coat hangers with movable cushioned pinch grip clips that are great for holding complete outfits with a jacket or shirt and pant or skirt. 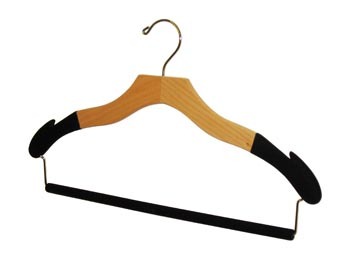 These wooden hangers are 17" and 18" in size, made from 1/2 inch thick Natural Hardwood and have a contoured design. 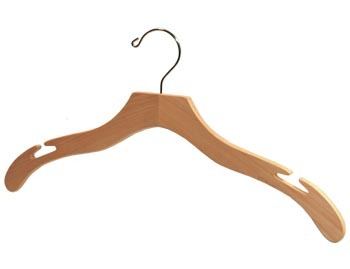 They fit most mens and womens sized coats, suits, jackets and shirts. Currently available in clear blonde, stained walnut brown, and even a black or white painted finish. 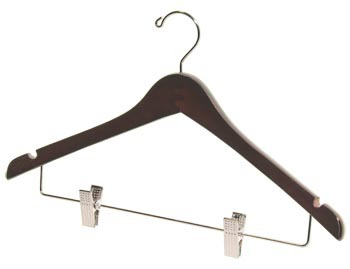 We also offer Wood Coat Hangers (without clips) and Custom Coat Hangers with clips.